This Jardur 37.5mm. 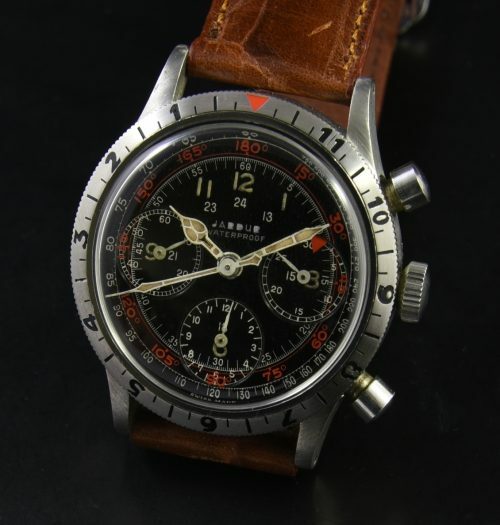 stainless steel 1940’s Pilot’s chronograph is an original example. The manual winding legendary Valjoux 72 was just cleaned and working perfectly. The correct “Pilgrim” signed case and movement” is VERY clean. The cathedral hands and lume, along with the original STUNNING dial is all un-touched. 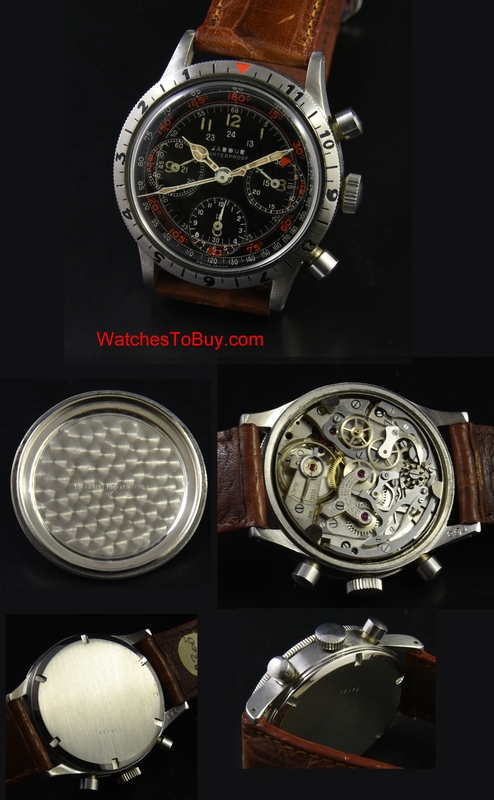 These watches were used by pilots and to TRAIN pilots in the 1940’s. An amazing example.